For the first time in six months, I've done some work on the headboard for our bedroom. I've been putting it off partially because of the complexity of what I am trying to do. If you aren't familiar, see this post which talks about the design and shows a drawing of the plan. 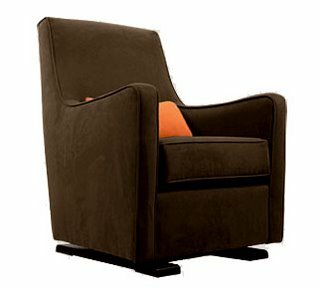 Basically, I'm trying to create bed side tables with integrated lamps that hang on the wall as part of the headboard. Incidentally, we've added the pictures to the headboard but I haven't uploaded an image yet. 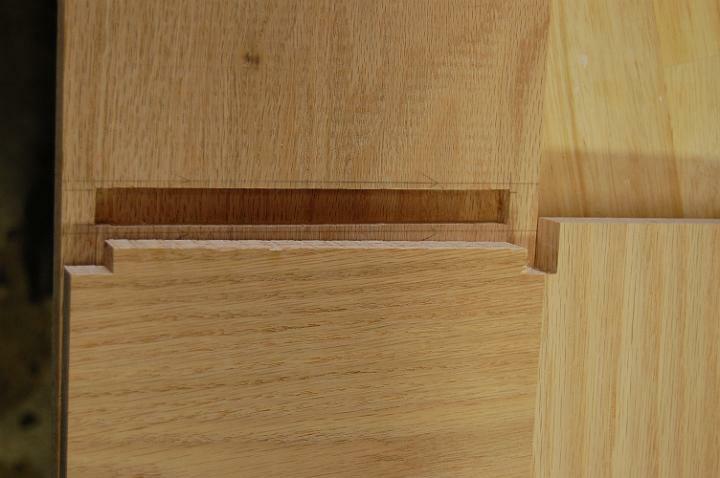 The tables are cantilevered from the vertical board but are about twice as wide as the vertical board so the joinery is not straightforward. 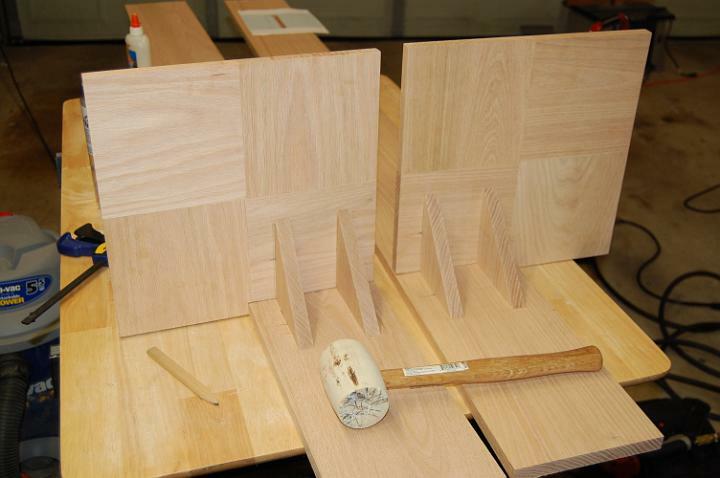 The picture below shows the dry fit tables and a more detailed description of the work follows. 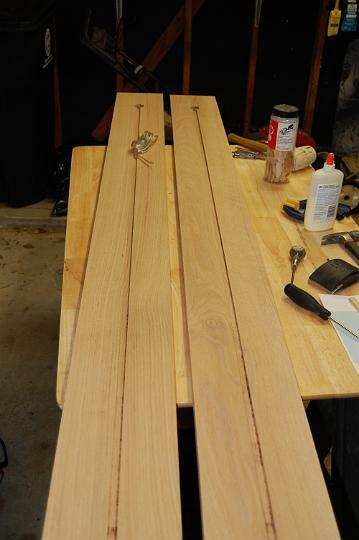 First, I created a simple jig to rout slots in the vertical boards. 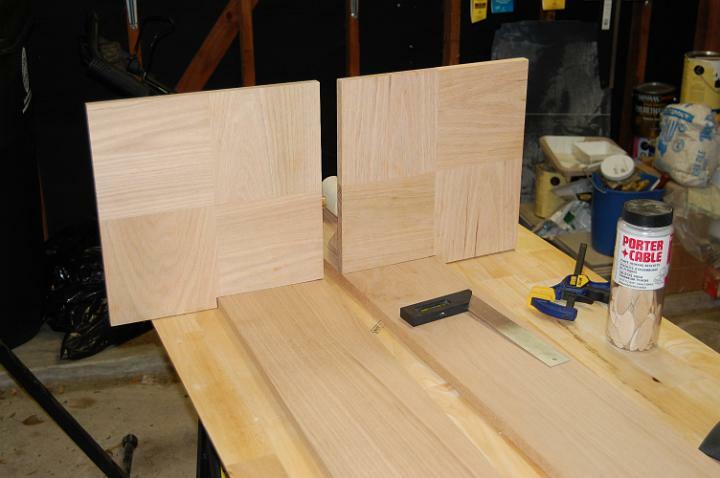 Next, a little chisel work squared off the slots and a dado blade on the table saw was used to shape the tables appropriately. 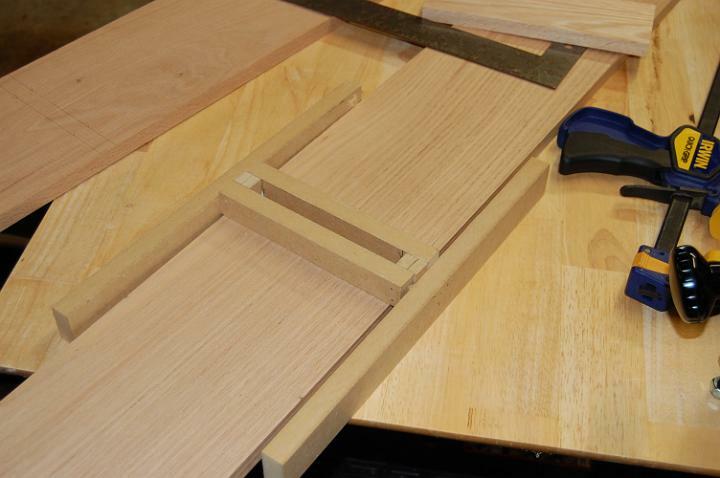 Adding some 5 inch triangles using biscuit joinery provides additional support for the tables. Finally, a little work on the back was done. A slot is run up the back for the power to the lamp. Also, two keyholes are just above the table mounting for attaching to the wall. 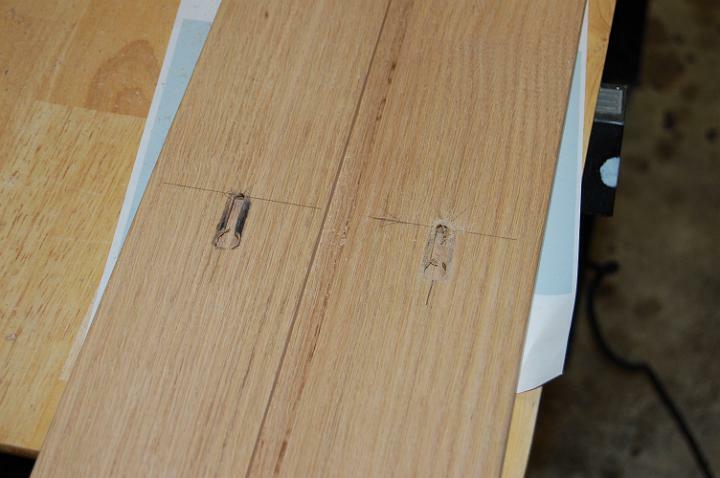 The upper part will be attached with screws through the board hidden by the light fixture. Basically, all that is left is to sand, stain, and assemble. Hopefully, I'll have completed images pretty soon. This weekend some of our best friends, the Tims, came in town. 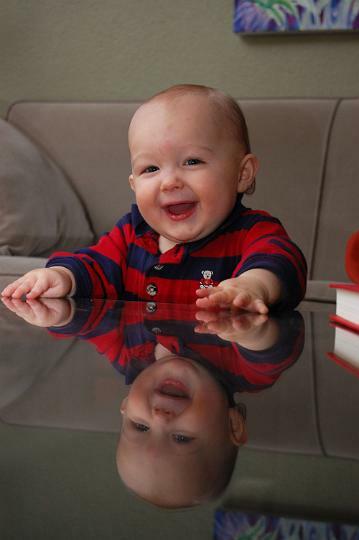 Heath and Barbara brought their 9 month old little boy, Carter, and we had a great time. We didn't do anything in particular. It was just nice to visit with them. Here is one of the pictures we were able to get of Carter. There are a few more in the album. Saturday night we went to dinner at PF Changs with the Fulliloves and the Tims. After dinner we made our way across the street to Pottery Barn Kids to look at baby stuff. It was nice to get the opinions of new moms and dads. As expecting parents, Ross and I are having to make decisions about all kinds of things that we know nothing about. We're just hoping we pick the best things (or at least usable things). Jackson means son of Jack, and he will actually be the great grandson of Ross' Grandpapa, Jack Taylor, who is someone we both admired, respected, and loved greatly. Dean is my Granddaddy's, Harry Napper's, middle name. He is someone we both look up to as a leader and a man of God. Needless to say, Jackson Dean will have some great footsteps to follow in. Hopefully, we can lead him down the right paths! The other reason we like the name Jackson is because of the meaning you eventually get to...Jackson means "son of Jack". Jack is a nickname for John, and John means "God is gracious". God has certainly been gracious to us throughout our lives and especially now with the blessing of this little boy. Our hope and prayer is that God will always be gracious to Jackson Dean. 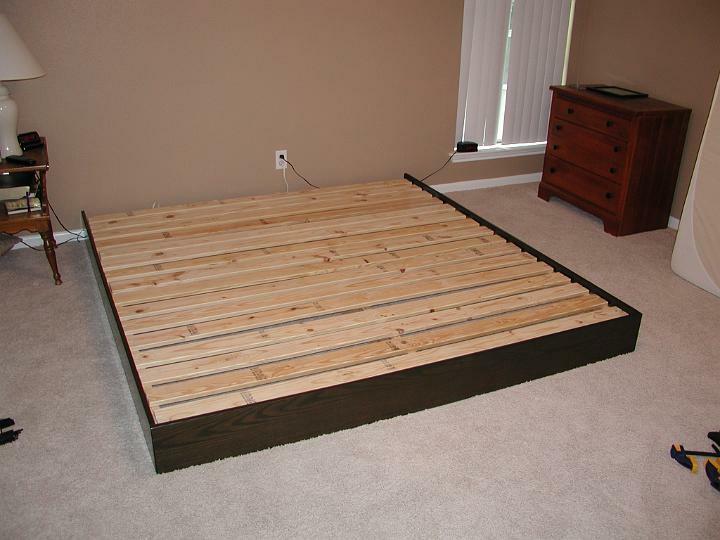 I got an email today from Kris in Bend, OR asking for clarification on how I hid the nuts used to assemble the bed I built. It's actually a fairly simple solution. 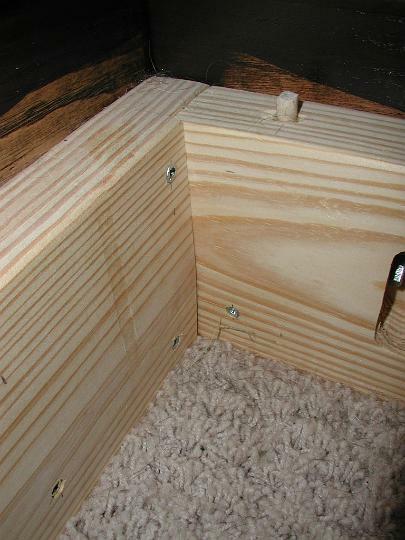 I embedded square nuts in the inside frame by cutting snug fitting square holes with a chisel. While square nuts are not nearly as common as hex nuts, my local hardware store had a fairly wide selection for larger bolts like the bed bolts I used. 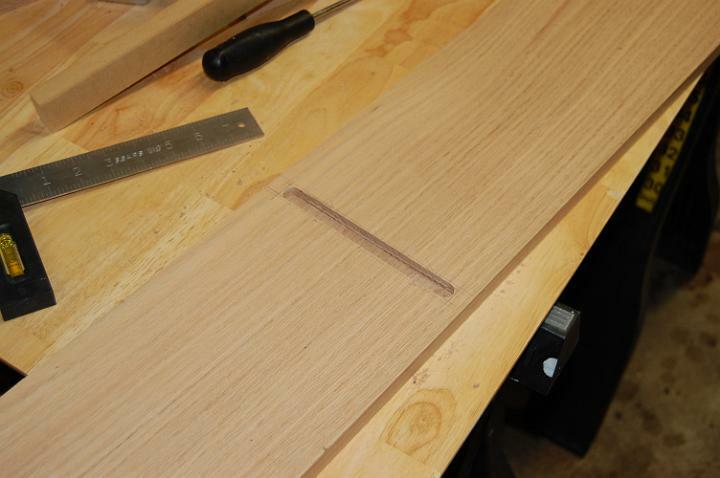 So the decorative oak board would hold the square nuts in place when disassembled, I kept the square nuts fairly close to the surface and drilled shallow holes in the oak to receive the small amount of bolt that might protrude from the nuts. Of course, sizing the bolts and carefully cutting the t-slots was also very important. (To be completely honest, I assembled the inside frame before attaching the finished oak pieces and I haven't taken the bed apart since but my hope is that everything is snug enough that I won't have to take the oak off to get the bed back together.) 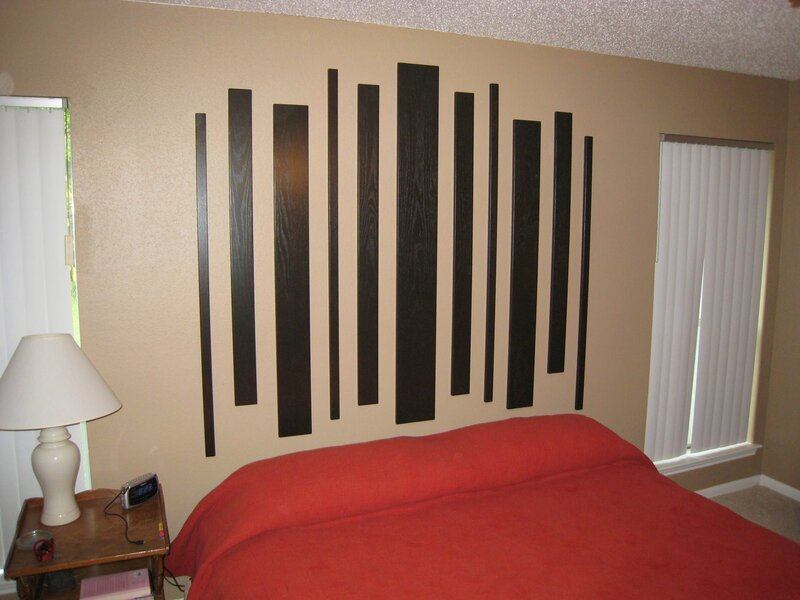 As for the headboard...it goes against a wall, so that hardware was left exposed. Kris, I hope this helps. I'm at home today for the second day in a row because of a cold, I guess. I primarily have a severe sore throat with coughing and occasional other symptoms. The two days before I got sick, E was home sick with similar issues though she had more sneezing and runny nose. Needless to say, this hasn't been a pleasant week. Hopefully, the weekend will be better. Today I got to go for a ride in the motion based simulator of the shuttle with a few other folks that I work with. It was so much fun! We started with a launch. The simulator actually puts you on your back so you get the feeling of 1G in your chest. In a real launch scenario, the astronauts feel 3G, but this is how they train. The ride up wasn't nearly as rough as I expected it to be. The instructor actually compared it to riding down a cobblestone road. I'm not sure if that's realistic or not for a real launch. A few minutes into the launch, we simulated a main engine failure, which meant we would return to the launch site for a landing. The ride back to the ground was interesting. We went from our backs to a seated position to our backs and to a seated position again during the different stages of RTLS (return to launch site). The instructor landed the shuttle the first time to show us what to do, but then we each got to take a turn landing. We all managed to land the shuttle successfully, which is quite an accomplishment from what I understand. It was an awesome experience. It probably would have been even better for me if I hadn't been sick. I have a bad cold, so being on my back for that long just made me feel even more congested. It was worth it though! 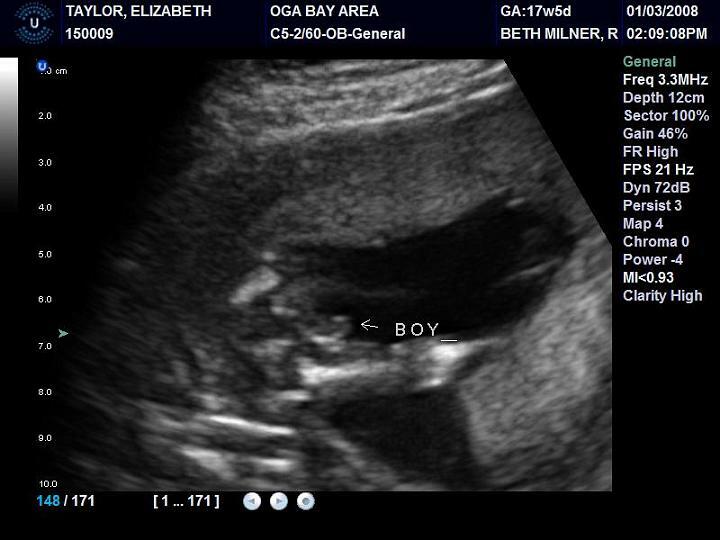 We couldn't be more excited about Baby Boy Taylor. There are several more pictures and even a video in the album. Technology is so cool! Now that we know Baby Taylor is a boy, we can start thinking of names, decorating, and planning!